A mobile phone game developed in East London is being turned into a Hollywood film. 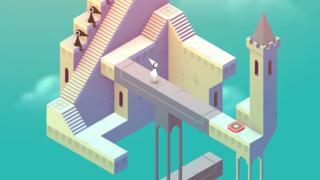 Indie puzzle game Monument Valley is set to become the latest crossover between video games and film. The first game was made by a team of eight at UsTwo Games, based in Shoreditch. Now, 160 million downloads and a movie deal later, its head Dan Gray said the team is excited to see where this new medium will take the story next. “I keep not knowing where this crazy rollercoaster is going to end,” he told Newsbeat. In the game, players help the main character Princess Ida navigate brightly-coloured and ever-changing architecture to complete her quest. Paramount Pictures will develop the film with Weed Road Pictures. And they’ve brought on an award-winning director to make it happen. 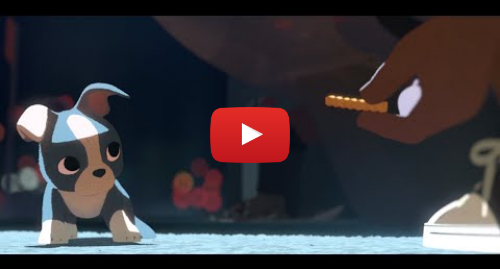 Patrick Osborne won an Oscar for his short animated film which chronicled a man’s love life through the eyes of his puppy. There is, however, the risk of the dreaded video game movie curse. Over the years, film adaptations of video games have earned a reputation for being bad, struggling to break through in the same way comic book adaptations have. “What it comes down to is people always want games translated that have a solid story already,” said Dan. “So things that are acted out with voice acting or with lines or any of this kind of stuff. But Bafta-winning Monument Valley is minimal both in terms of storyline and dialogue. In fact, Princess Ida remains silent throughout. This is a world in which “hundreds of different stories” can be told, Dan says. “One of the reasons we decided to give this the time of day is that it’s a story that leaves a lot to your imagination,” he added. “The story of Monument Valley one and two is down to a player’s interpretation. “If the film is something that captures the identity of the visuals and the feeling and the characters they can go wherever they want with that. Looking back to when they began making that first game five-and-a-half years ago, Dan told Newsbeat their aim was just to make it as beautiful as possible. Their initial hope was to sell 100,000 copies – a target they’ve long since passed, collecting numerous awards along the way as well as making a sequel. Now, they hope the film will introduce a whole new audience to the game. 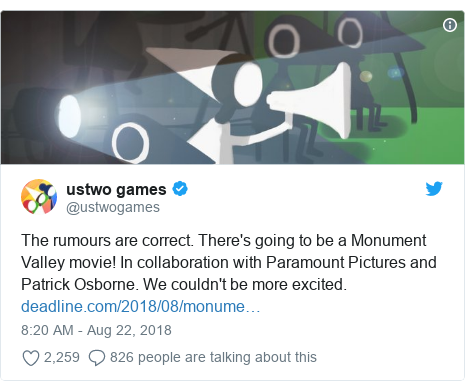 “My hope is they come back to the game and they experience what Monument Valley has to offer and show that interactive entertainment can be more than what is usually portrayed in the mainstream,” said Dan.